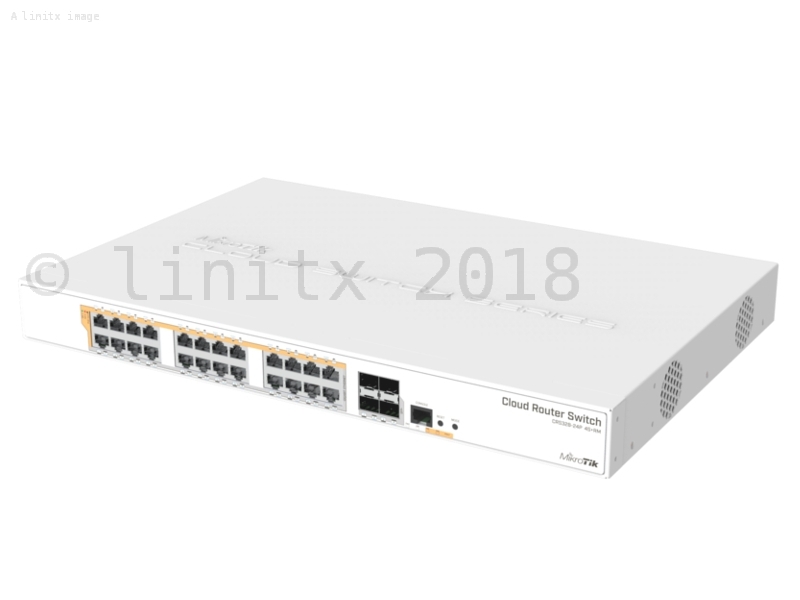 The MikroTik Cloud Router Switch - CRS328-24P-4S+RM is MikroTiks first PoE switch with 28 independently controlled ports. 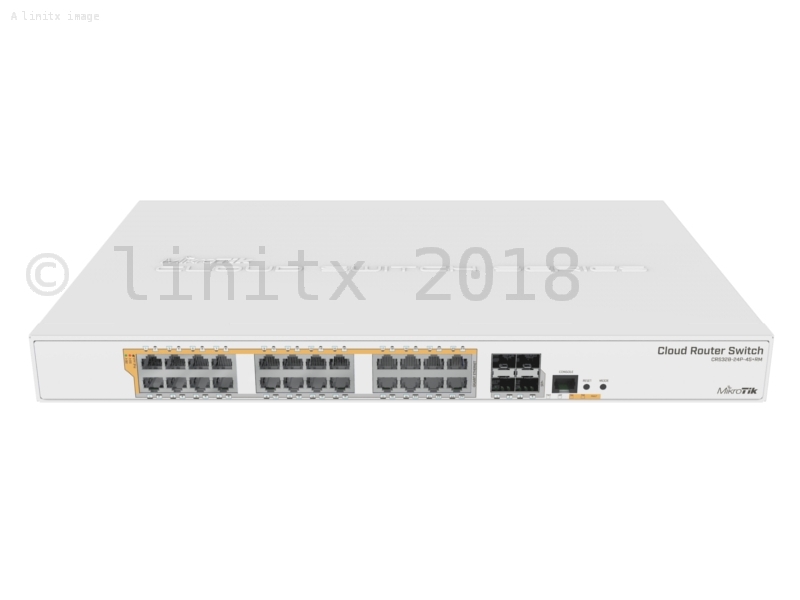 It features 24 Gigabit Ethernet ports, which offer key PoE protocols such as: Passive PoE, low voltage PoE, 802.3af and 802.3at PoE+ with auto-sensing power. The four SFP+ ports provide up to 10 Gbps backbone connectivity via optical fiber or MikroTiks own Ethernet modules (not included). The CRS328-24P-4S+RM comes in a 1U rack-mount chassis with a 100-240V AC 500W power supply built-in. 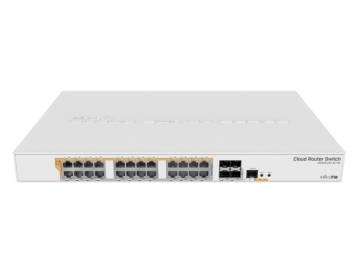 The CRS328 consumes a peak of 44W leaving a guaranteed 450 W (3x150W per every 8 Ethernet ports) for your PoE devices. Each port can provide up to 30 W of power regardless of the power protocol chosen. Mikrotiks 328 supports �Dual boot� allowing you to choose between their two operating systems - RouterOS or SwOS. If you prefer to have a simplified operating system with only switch specific features, use SwOS. If you would like the ability to use routing and other Layer 3 features with your CRS, use RouterOS. You can select the desired operating system from RouterOS, from SwOS or from the RouterBOOT loader settings. The impressive performance and flexibility of the CRS328-24P-4S+RM provides one of the best price/performance ratios on the market.